How Long Will My International Jet Charter Flight Take? | Stratos Jet Charters, Inc.
How Long Will My International Jet Charter Flight Take? 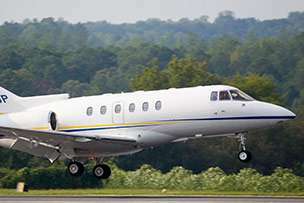 One of the challenges of international jet charter travel is mastering times zones and jet lag. 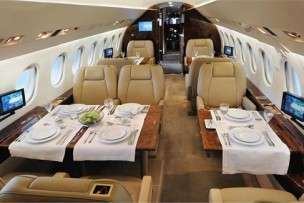 Today’s fast, ultra-comfortable jets mitigate those challenges somewhat, but time zones are still a consideration when booking an international jet charter. Knowing how to gauge time zones helps you plan a better itinerary, and allows you to adapt for jet lag. Here are some tips and terminology to help keep time on your side. Since the nineteenth century, Greenwich Mean Time (GMT) was the time zone all other times zones were measured against, around the globe. Every destination was either so many zones east or west of the Greenwich Meridian in London England. In 1972, this was changed to Coordinated Universal Time standard (UTC), a more accurate and politically neutral time standard. Some pilots and military personnel may also use Zulu Time, which is a variation of the UTC standard. When you receive a boarding pass, your arrival time reflects the local time of your destination. To avoid confusion, almost every airline and air charter service such as Stratos will issue tickets with arrival and departure times in LOCAL TIME, using the 24-hour clock. So your flight from New York to Paris may leave on Sunday at 18:20 (6:20 pm), and arrive at 7:35 am Monday, Paris time. Your non-stop flight will last about seven hours, but because you have crossed multiple time zones, your watch will be six hours off. This time change effect is even more pronounced when you book an international jet charter flight across the Pacific Ocean. Since you will cross the International Date Line, your ticket may reveal that you leave Los Angeles on Sunday morning and arrive in Tokyo on Monday afternoon. The huge advantage Stratos Jet Charter customers have over commercial air travelers is that you can choose your departure time. So, in consultation with our Jet Charter agents, you can customize the travel times that work best for your body and your itinerary. Jet lag most often occurs when travelling across several time zones. The direction of travel matters. Traveling east can be more challenging because it shortens your body’s day. Traveling west lengthens your day, but our bodies can usually adjust fairly quickly. Preparation can help. Resting the night before your flight, and departing during daylight hours can help with your body’s internal clock. Stay hydrated. Drink more water and minimizing alcohol consumption while in-flight. Seek light. Bright sunlight is the most effective way to reset your body’s clock. Before you travel east, seek bright sunlight first thing in the morning at home. If you’re going west, expose yourself to light in the evening before you leave. With some preparation and a little math, your next international jet charter will avoid the common pitfalls of multiple time-zone travel. If you are planning a flight to an international event, check out our tips at our Featured Events Directory. Planning a trip across seas? At Stratos Jet Charters, our air charter agents and Trip Support team can take care of all the details for you. Just give us a call and tell us where you’re headed, and we’ll take care of the rest.